Receive a detailed evaluation and skill testing from current high school coaches and college placement advisors! Junior High School Players Click Here…(11u, 12u, 13u, 14u)…2017-18 Fall & Winter Season Details! High School Players Click Here…(16u & 18u)…2017-18 Fall & Winter Season Details! Player Development Program Click Here…(7u,8u, 9u, 10u, 11u, 12u)…2017-18 Fall & Winter Program Details! *There will be a brief presentation regarding travel teams, events and training programs during or following the tryout. **Players will receive team/event acceptance status, along with detailed evaluation results and scores (usually 1-2 weeks from evaluation date by email and phone number provided with registration). 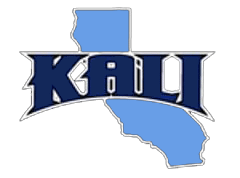 Trosky & Kali Baseball Teams Provide Quality Development & Exposure! IF YOU HAVE THE GOAL TO PLAY COLLEGE BASEBALL AND YOU ARE COMMITTED TO TAKING THE NECESSARY STEPS ….WE ARE THE RIGHT ORGANIZATION FOR YOU.